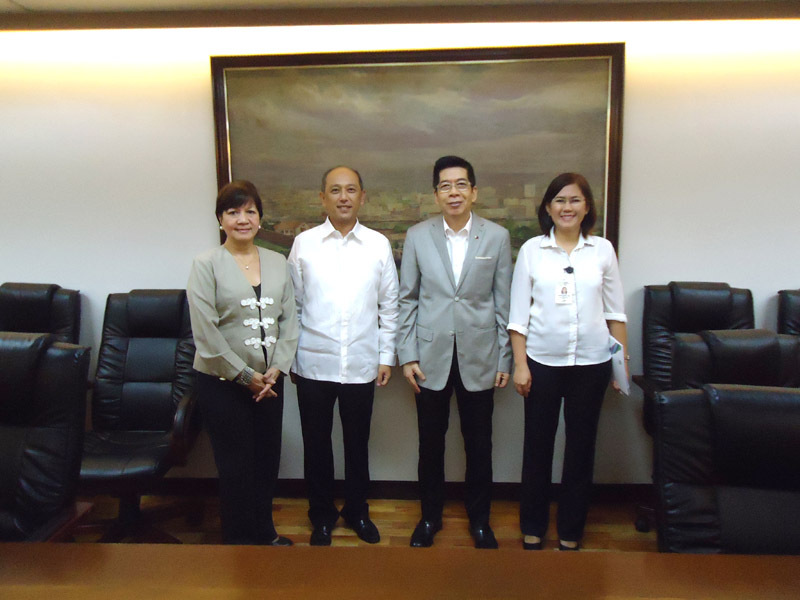 As part of its stakeholder engagement and advocacy work, the PCAAE, represented by its President & CEO, Mr. Octavio B. Peralta, and one of its Board Members, Ms. Sandy Lim, made a courtesy call to Mr. Domingo Ramon C. Enerio III, Chief Operating Officer of the Tourism Promotions Board (TPB), on April 29, 2015 at the TPB headquarters to update TPB on the existing status of and services being offered by the PCAAE. Ms. Raquel A. Tria, TPB’s Senior Project Officer of the MICE Department, also joined the meeting (see photo). Among others, Mr. Peralta highlighted the PCAAE milestones from its inception in November 2013 to its current place as the country’s only association of association executives and professionals; the present service offerings to its members such as seminars, e-newsletters, an interactive website and its annual flagship event, the Association Executives Summit (AES); other services in the offing such as the PCAAE Awards, the PCAAE Academy and its certification program, the Members’ Helpline, the Speakers Bureau, the Ambassadors Program and the Association Day. TPB http://tpb.gov.ph/ was instrumental in the setting up and the launching of the PCAAE when it organized the first Association Executives Summit (AES) on November 19-20, 2013. Since then the TPB has provided support to PCAAE in terms of sponsorship of the second edition of the AES in November 2014 as well as helping its members in their bids to attract international conferences to the country. TPB’s mission is to market and promote the Philippines domestically and internationally as a world-class tourism and MICE destination, in strategic partnership with private and public stakeholders to deliver a unique high-value experience for visitors, significantly contributing to increased arrivals, receipts and investments to the country.